What we've learned about retiring early, health, technology, RVing and an active lifestyle. Events – Where is your path taking you? Facebook – Where is your path taking you? Where is your path taking you? Nothing changes without controversy. 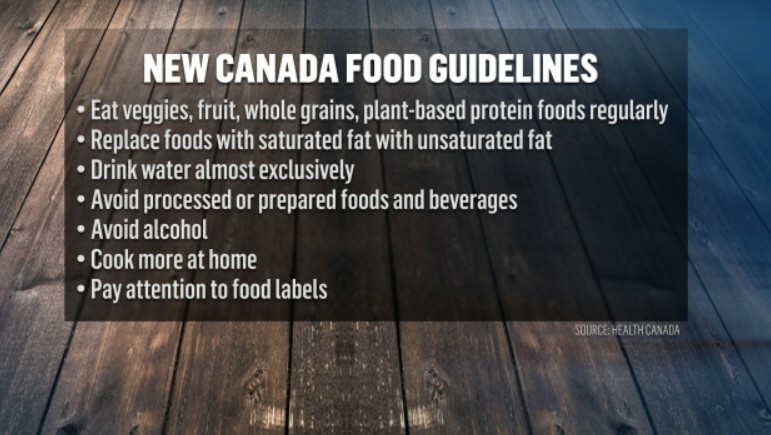 After the Canada Food Guide was changed several weeks ago, parties on both sides are discussing the pro and cons of the new guide lines. To me this discussion, illustrates the problem with the old guide. That it was influenced by special interest groups. I am not a scientist. 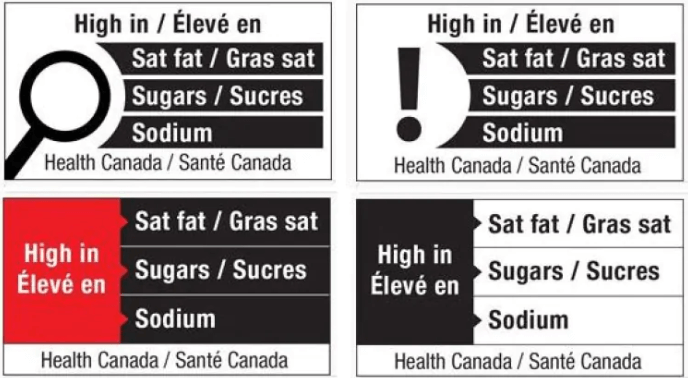 My interest in the Canada Health Guide comes from my own health issues and the experiences I’ve had over the past 11 years. I was diagnosed with cardiomyopathy and as a result damaged my kidneys. I have been released from the Heart Function Clinic as my heart function has returned to a normal range. I am on a couple of medications although fewer than after my heart issue. Of course, this improvement is due to the skill and knowledge of many health professionals. It’s also due to my becoming knowledgeable about my issues and becoming my own health advocate. I was raised on a ranch near Cochrane, Alberta. I still have family and friends in ranching. I am sure these guidelines will have an effect on the industry. I know that successful ranchers have always adapted and they will again. I see many, mostly younger ranchers & farmers, educating the public on how their food is raised. This is wonderful since there is so much false information about food in circulation. Based on my experience, looking at the guidelines in the image above I don’t have issue with any of the guidelines. I’ve learned to control portion sizes, eating smaller portions of meat less often. I have not eliminated meat from my diet though and likely never will. I’ve learned that my plate has to be colorful filled with vegetables. 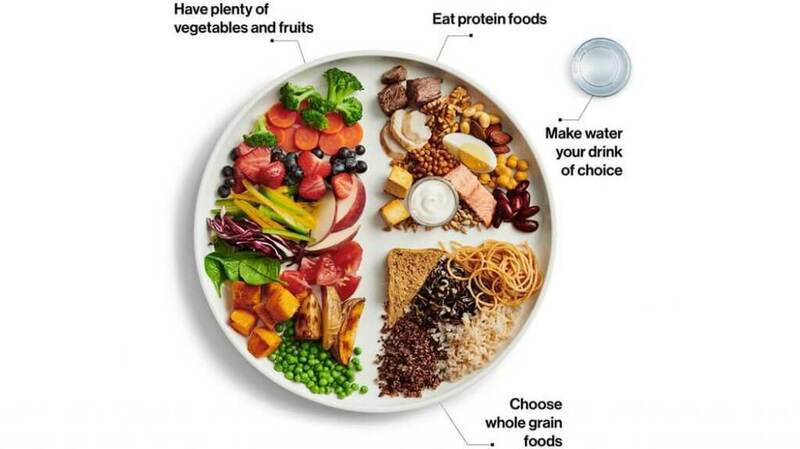 In its explanation of the new food guide, the Government of Canada suggests a plate should be half filled with vegetables and fruit, while the other half is shared with protein foods such as lean meat, chicken, varieties of nuts and seeds, lentils, eggs, tofu, fish and beans and whole grains. Aside from reducing the amount of meat consumed, I like the guidelines recommending drinking water almost exclusively, cook more at home and pay attention to food labels. I believe that reducing eating in restaurants to once a month is critical. That’s not in the Guidelines. It’s a recommendation from a nurse’s presentation my Doctor recommended I attend. We need to control what’s in our meals and limit the servings and sodium content. I believe that eating healthy has to contain regular meals eaten at the table with family and friends. This encourages us to eat slower which in turn allows our stomachs to tell us when we’re full and avoid overeating. It also improves our mental well being as we are social animals. BC Cattlemen’s Association general manager Kevin Boon doesn’t have a huge beef with the new Canada Food Guide released this week. “It still recognizes meat as a valuable source of protein,” Boon told the Tribune. A couple of recommendations have yet to be implemented. They deal with food labels and marketing food to children. I feel that current labels are hard to understand and need revision. Both these changes are due in 2020. I see some good recommendations with the new guide. Restaurant eating has become a way of life for some, and it will likely be a hard adjustment for lots of people. Drinking more water is a habit, some find it easier than others, but a good one to try to get into! I love red meat and sometimes I crave it! A colourful plate with lots of veggies has been recommended, and we can only hope that habit catches on. The problem with that is accessability to the veggies, knowing they aren’t tainted with anything that will make us sick!! Keeping an open mind and doing what we can is probably going to help us be mindful of what we are putting in our bodies and trying to follow the new guide. You are right. Safe, economical food is an issue. My passion has become improving men’s health. Took out a bunch of trees today.